Provide the most suitable security measures for you. Stop the "threats" of information leaking!! No.1 of the total security appliance market! Are you thinking that you can protect all with an antivirus software? You can not prevent all hacking activities only with an antivirus software. 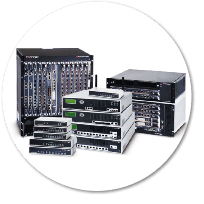 Fortigate blocks the virus from outside, as well as supervise information leaks inside the network. Stop of the "threat" of information leaking!! There are at least 7 dangerous routes for information leaking. Protect your gate-way with only one Fortigate now! "McAfee Total Protection Service" has been adopted by 200,000 companies in Japan! Why not throw the troublesome security managing away? Tough security measures all in one, with an easy-to-use package. Application, managing and operating are all automatic. You do not need to buy additional hardware, just use the latest protection in your current environment. 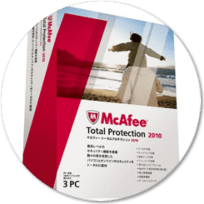 3 Frees of "McAfee Total Protection Service"
Wholly location free with internet based service. Also available for mobile PCs. The update of the program engine and virus definition files is all done automatically. Managing through the data center of McAfee, with no need for additional managing servers or softwares.